Mittens Writes: Happy St. Patrick's Day. I hope you didn't eat anything green today that shouldn't actually be green. For example, after a 5 hour Girl Scout cookie booth, I took my daughter to Burger King for dinner. They offered us GREEN KETCHUP!!! This is wrong, people. And truly gross. And real Irish beer is black, not green. Have a Guinness. Or a Jameson's whiskey. That's what I'm doing today. I did, however, eat two cupcakes with green frosting. They were delicious. 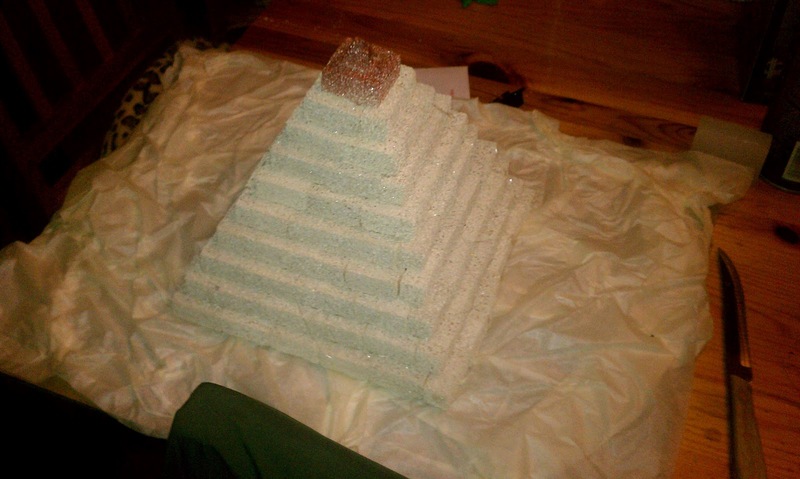 I've also learned how to make a pyramid out of little foam craft bricks and hot glue. 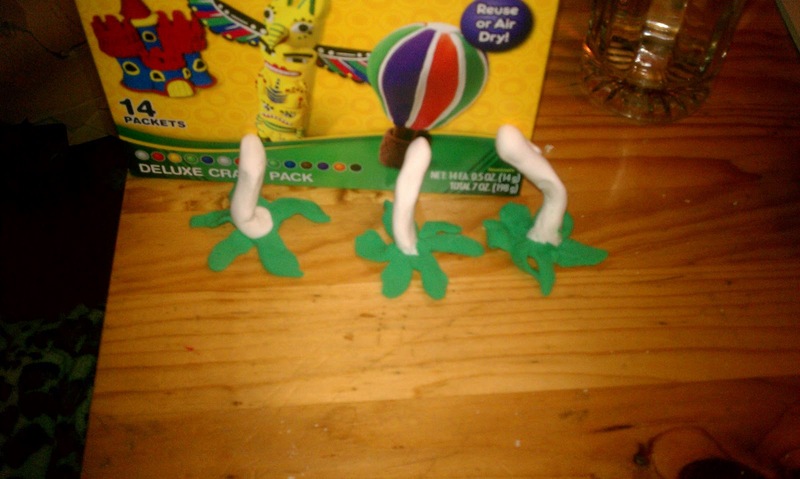 I told my daughter to tell her history teacher that we can't imagine how much hot glue it must have taken to make the big pyramids in Egypt. We still have one more day's work to do on the pyramid project. The clay palm trees are drying on the table, and we still have to print out a bunch of facts about Cleopatra to stick all over the pyramid. Fun, fun! Lastly for today, I had a horrible dream last night. I woke up in a cold sweat. Literary agents had apparently lined up at my front door. They wanted to show up in person to see the look on my face when they rejected me, I guess. Either that, or they wanted to see what kind of idiot would ever submit such a thing to them in the first place. Or maybe they wanted me to watch them laugh in my face. It was a horrible dream. Agent after agent after agent. Stupid, huh? Anyway, I just realized how late it is. All that construction work really took it out of me. 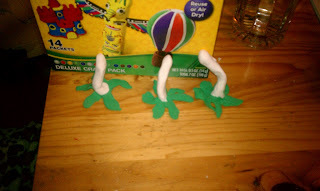 And I burned my finger on the darn hot glue gun. I can really sympathize with the Ancient Egyptians now.